The Police Department actively seeks grant funding to help curb its costs. Some of the grants that the Department has been awarded since 1995 include the COPS Fast Grant Program and the COPS Universal Hiring Grant Program, which assisted in the hire of two new officers. Each grant program awarded $75,000 to the Police Department to be expended over a three-year period. In 1997, the Police Department was awarded a COPS More Grant in the amount of $15,450 to assist in the purchase of updated computer equipment and a new records management system. The Department again received funding through the 2001 COPS More Grant Program to again update its computer equipment and records management system. The amount received in 2002 totaled $16,543. The Police Department also received $7,200 in 1998 from the Pennsylvania Department of Community and Economic Development through the Single Application for Assistance Grant Program. The funds were used to purchase vests for the Department’s swat team. Since 1996, the Police Department has been receiving assistance annually from the Pennsylvania Commission on Crime and Delinquency to fund the D.A.R.E. Program. The Commission most recently awarded $1,704 to assist the D.A.R.E. Program during the 2004-2005 school year. Since 1999, the Police Department has been awarded funding through the Bulletproof Vest Partnership Grant Act of 1998. The applications were approved by the Bureau of Justice Assistance. The purpose of this Act is to aid state and local governments in equipping their law enforcement officers with armor vests by reimbursing law enforcement agencies up to 50% of their annual vest costs. The federal share received by West Manchester Township Police Department in 2004 totaled $2,167.68. The West Manchester Township Police Department was also awarded a grant through the Municipal Seat Belt and Child Restraint Education and Enforcement Program. The grant was effective through 2005 and was awarded by the Pennsylvania Department of Transportation. The Township will receive funding to assist in increasing vehicle occupant protection use through enforcement, education, training, and public information and education efforts. In 2004, the Department received a $5,000.00 grant from Department of Community and Economic Development (DCED) to upgrade our radio communications system. Pennsylvania State Representative Beverly Mackereth facilitated this grant. In 2009 the Department recieved Federal Byrnes Justice Assistance Grant , (JAG) funding in the amount of $26,544.00. This funding was used to upgrade equipment including patrol rifles, spike strips, portable breath testing devices, (PBT), and window tint meters. In 2010 and 2011, in cooperation with Northern York County Regional Police, West Manchester Township Police Department along with most other York County Law Enforcement agencies recieved funding from PCCD to update our Records Management System so that we could participate with local, regional, state, and federal information sharing. 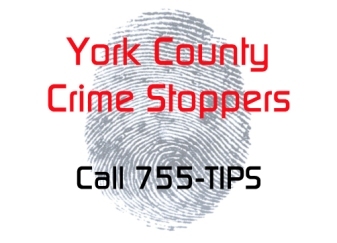 This project should be completed in 2012 and will allow real time information sharing between most York County law enforcement agencies and well beyond York County..
For the past several years West Manchester Township Police Department has participated in the Click it or Ticket seat belt initiative and the Smooth Operator Agressive Driving Patrols. Both of these programs provide funding for overtime pay so that we can provide additional traffic enforcement service to the community. In 2009 the Department received approximately $40,000 from these two programs.